Here is the first magazine of our forum. It is a sort of sister magazine of That Golden Touch, but now in full colour! Enjoy. Its great to get this as a download! Midas Gold Coupe: 1380 7 port xflow, SC/CR gearbox, Titanium mania, CF Steering & seats. Yes, for viewing it is perfect. But it's a 72dpi file, so printing will give not a good result. It's now a 3.8mb file, with a 300dpi file it would be about 15mb big. Anyway if people want a good quality print, they better become a member of the Midas club. 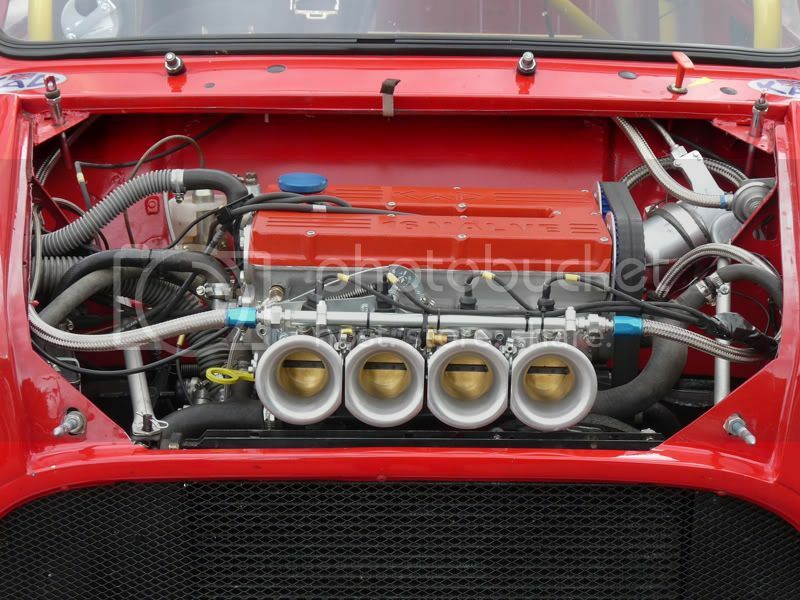 I've just emailed it to my young friend Ralph with the V8 Metro, whom I mentioned in my article. It's saved me the bother of obtaining a second copy and posting it to him. Maybe the way to save the club some money, is to have postal members and email members. I also liked the extra little bit which you added. 15mb is not too bad. I've reset download cap from 2mb to 32mb so it is possible, albeit some potential loading on the server download speed if everyone downloads at once (unlikely). Friends of the Vriendenkring Klassiekers in Almere asked me for the article about the Midland Classic Show in september in That Golden Touch, I can just sent them the digital version, piece of cake!!! Thanks again. Thanks Hans. A super effort. The interview with Harold brings back memories. It was shown to me late one Friday night while rebuilding yet again a 3 synchro straightcut box. I wanted a Midas there and then. I got my first in April '87. The engine was a poorly done 1312 oil burner. I bought a s/h 1275 which was siezed: the starter ring gear was coming off and jammed against the idler casing. So, s/h flywheel assy, and a quick rebuild, with a 2.95 final drive and then did 80K with no probs. I just uploaded the file to the server of Colin, so it is available again! Thanks Colin. I prefer the files like this to be hosted elsewhere. Better for resiliance. Means if things go down, here or there, all is not lost, only a part. No problem, it splits the risk and saves you some bandwidth.